A fire extinguisher is one of the most important aspects of your fire safety plan, and fire safety regulations suggest that every commercial building should have at least two ‘Class A’ fire extinguishers on every floor. However, with a number of different extinguishers for varying types of fire, knowing which extinguisher is right for you could save you a costly visit from your fire safety inspector or an even more costly fire damage bill. 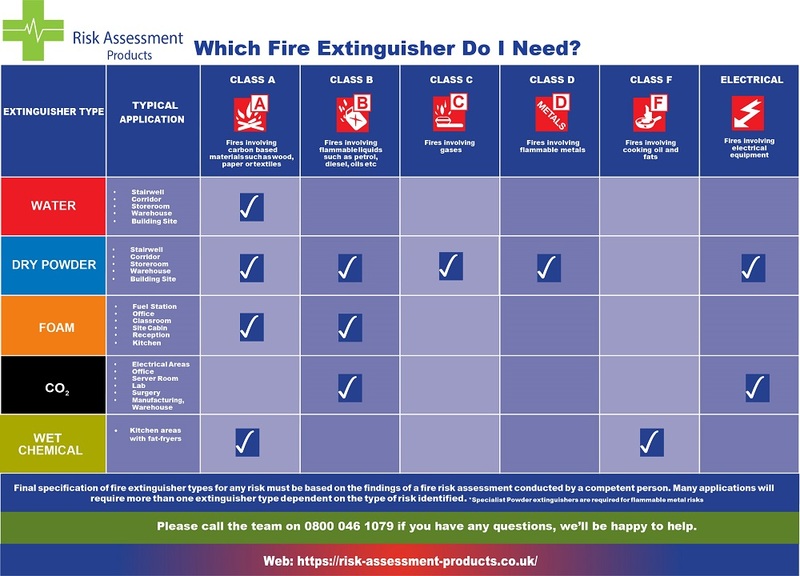 Below is a handy graphic that shows which fire extinguisher is required for each fire risk. Some extinguishers can be used for a number of fire types, so ensure you check before you buy!